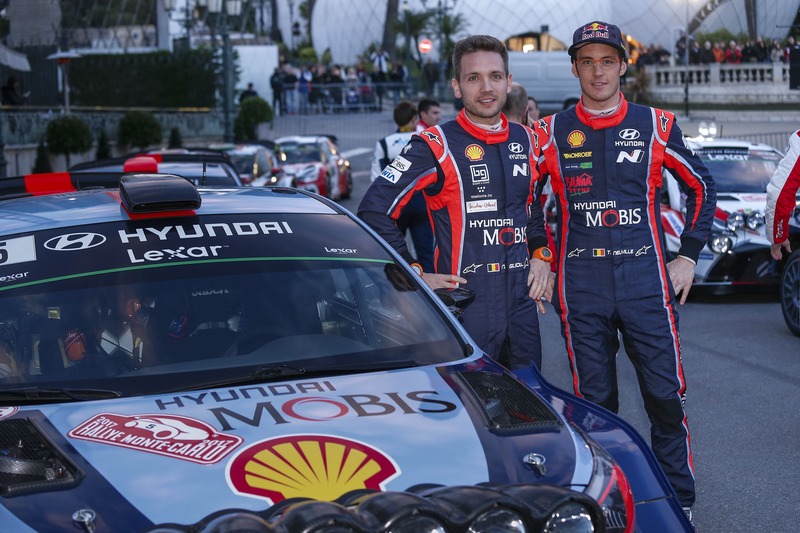 Thierry Neuville and Nicolas Gilsoul kings of the show! It was hard to keep such a great and wonderful secret for so long! Following their heroic performance during the Rally of Monte Carlo, we are thrilled to announce that after 3 years of absence, Thierry Neuville and Nicolas Gilsoul will be at the start during our Legend Boucles @ Bastogne these 17,18 and 19 February. Thanks to Hyundai Motorsport, our WRC ambassador will be here to have fun and certainly to delight us at the wheel of a top Porsche 911 Gr.4 from BMA. “More precisely, it’s a 1973 Carrera RS 3.0, the car with which I won last year” confided Bernard Munster who put every effort into it; notably with try-outs in the following days to give the official Hyundai driver the opportunity to get to know his historical racing car better. A powerful propulsion who will obviously be wearing the number 5 and whose blue and orange colours will remind the Belgian team their usual i20 WRC. “In addition to Hyundai and Bernard Munster who did everything to see the end of this project, I would like to thank the different partners of this operation, which are Alcomel, Bodart, Gonay and Domestia,” adds Pierre Delettre, the organiser who is completely delighted, less than 4 weeks away from an event which popularity is already ensured. The first big winners of this Legend Boucles 2017 are already known: it would most certainly be the thousands of spectators present during our event.